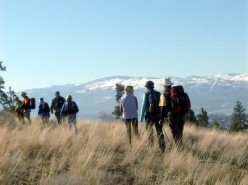 Hiking and bicycling activities begin in the spring and continue until the snow flies, when skiing and snowshoeing start. 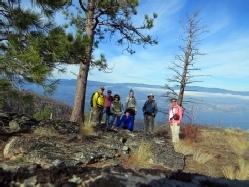 Guests are welcome to join one hike before becoming a CONC member. Guests must sign a waiver form (PDF). Check this document for general details on participation. Click the links on the left for the schedules of specific groups. If you have particular questions about any hike, please phone the hike leader (as noted in the schedule) or contact the hike co-ordinator. For the Ramblers, the co-ordinator is Merle Auty..
For the Sole Survivors, the co-ordinator is Sherrell Davidson.